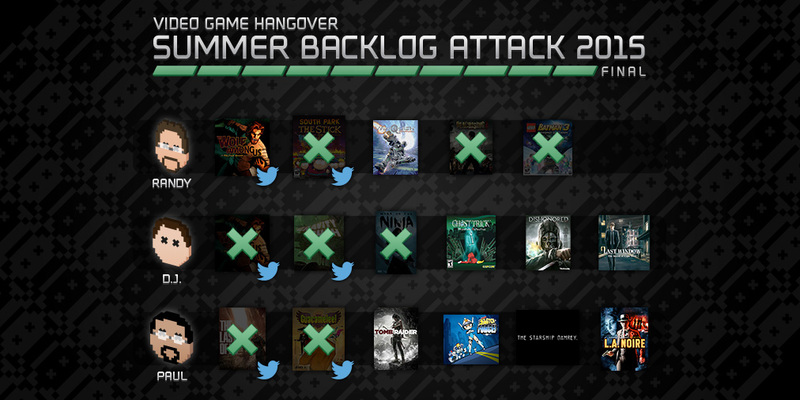 Three weeks left to go in our backlog challenge! 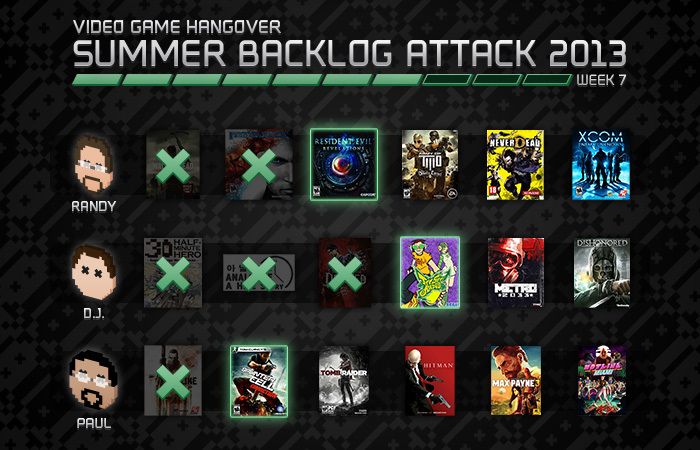 Randy and I have gotten sidetracked a bit with Splinter Cell Blacklist, but we’re making good progress (or at least Randy is), so we’re giving ourselves a week off. Smart move?? 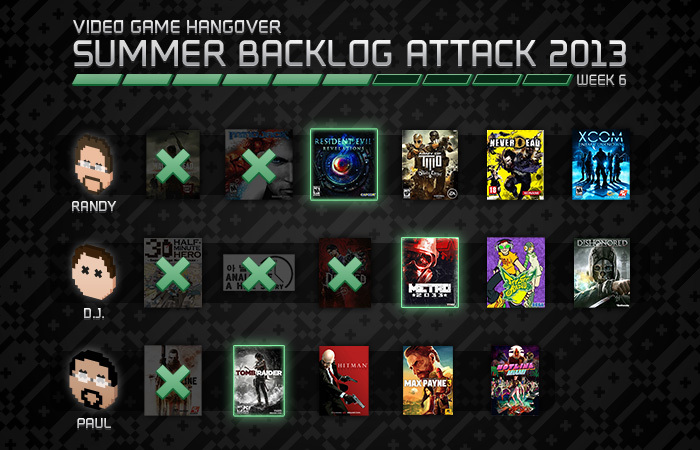 We’re officially past the halfway point! How are we doing?